We are delighted to announce that we have joined leading engineering, design and consultancy company, Ramboll. Our team will form the backbone of Ramboll’s UK rail systems team and strengthen their global rail systems community. All existing DEG Signal activities and staff will continue to operate as usual from our current business location in Warminster, Wiltshire, led by Chief Executive, Doug Green. DEG Signal holds extensive experience in providing consultancy and design services for both mainline rail and metro systems. We have carried out high-profile work for major clients such as TfL, Network Rail, Thales, Ansaldo, Amey and Siemens. We recently completed the concept design for an alternative signalling protection system on London Overground interoperable lines and are also working on the Thameslink Resilience Project, primarily on the Brighton Main Line. Ramboll’s growing rail portfolio includes an extensive body of work across HS2, a lead role on Network Rail’s Digital Rail programme, completion of key Crossrail stations, as well as key projects overseas such as the role in leading the consortium responsible for upgrading Denmark’s entire rail signalling system. 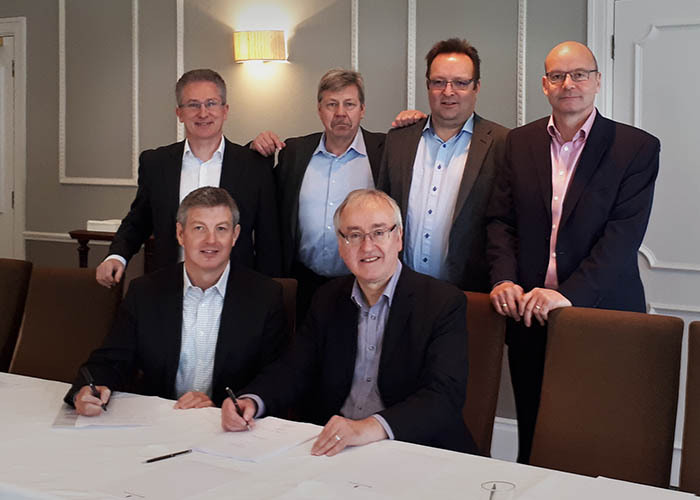 The extended capability granted by the acquisition will further expand Ramboll’s multidisciplinary support for rail clients, adding deeper rail signalling expertise to their portfolio. “We are very excited to be bringing the team at DEG Signal on board – they are a team we have worked with on multiple occasions and so we know that their excellent capabilities will help us to deliver even better value for our clients.